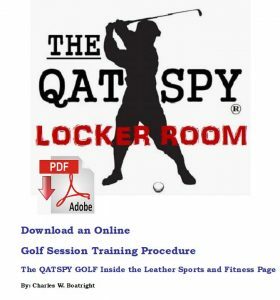 Below are list of PDF Downloads of Self-Coaching Training Process (STP) designed to improve the golfer’s game based on the ASPEN Self-Coaching System. 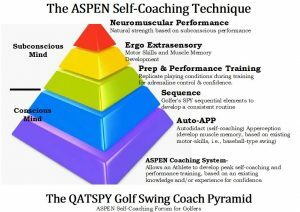 The ASPEN Self-Coaching Technique allows the golfer to take advantage of existing and ordinary skills they have already developed and apply these same skills to their golf game with notable results. The ASPEN Self-Coaching Technique Pyramid allow the golfer to take their baseball or softball swing from the batter’s box to the tee box. From research I conducted and time-lapse photography that I studied, the two swings (baseball and golf) are more similar than they are different. The major advantage of using the ASPEN Self-Coaching Technique is its presented in the list of Download training sessions the golfer can study without trying to remember subjects presented in a typical golf lesson format. The second advantage is ASPEN Self-Coaching System takes advantage of existing motor skills that were developed at a young age, usually before the age of eight (8). This makes these motor skills permanent that well entrenched in the golfer’s subconscious mind. The golfer may very well practice their golf swing using their conscious mind concerning the WHAT, but I can guarantee the golfer that once they step foot onto the golf course that they will be relying on their subconscious mind. The subconscious mind runs the show when it comes to HOW on the golf course. The golfer doesn’t play golf with WHAT, but instead of HOW! 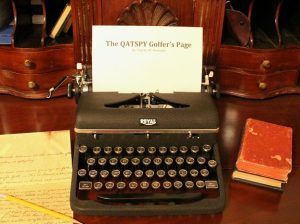 Articles from The Qatspy Golfer’s Page, to help improve the golfer’s game and life. A forum for coaching golf for power and control. 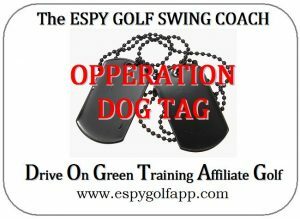 To help get Veterans involved in golf, Operation DOG TAG allows individuals, organizations, and groups information and ability to form golf clubs to reach out to Veterans in order to get them involved with their communities and find support and fellowship. The PGA of America has worked with veterans returning from the battlefield since 1919, after WW-I. The PGA realizes the impact the sport of golf has on these veterans. Most barriers that prevent Veterans from participating in other sports, are not an issue in golf. In the coming months, I will be outlining proposals to establish Operation DOG TAG in your organization or club.